Here at St Gabriel’s Catholic Primary School we want to give our children the best possible start in life. To give a child the gift of reading is to give them the ability to learn for the rest of their life. 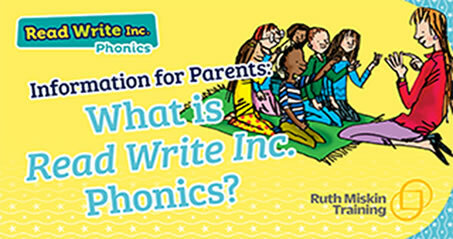 Our approach to the teaching of reading is through the Read, Write, Inc Phonics programme. Read Write Inc (RWI) is a phonic based programme which helps children learn to read, whilst also developing a wide range of vocabulary and encouraging a love of stories. The RWI programme developed by Ruth Miskin, provides a whole school approach to the teaching of reading. The programme creates fluent readers, confident speakers and willing writers. The Read Write Inc programme is for primary school children learning to read. The children begin the programme in Reception and our aim is that most children will be off the programme by the end of Year 2. Following rigorous assessments every 8 weeks, children are grouped according to their reading ability. They will then be taught in groups of similar ability, for up to an hour each day. This enables us to teach our children more effectively as the work is pitched at the correct level. During this time children learn new sounds and practise reading and spelling words. They also read storybooks, which are perfectly matched to their reading ability. A few children who need extra support to maintain progress will receive extra one to one tuition from highly skilled teaching assistants for about ten minutes per day. Any pupils in either Year 1 or Year 2 who, following the assessments, are identified as having a strong reading ability are then taught Read, Write, Inc. Comprehension. 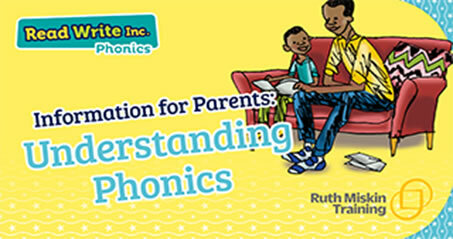 This teaches children how to apply their reading skills to decode more complex information. Below are links to tutorial videos explaining the basics of the programme. At St Gabriel’s we believe it is vital that children use pure sounds when learning to read. 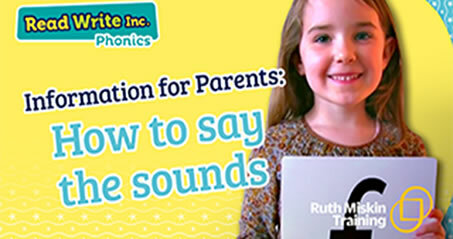 We believe it is important that all adults, including parents, use pure sounds when helping children to read. Please watch the video below to see how to pronounce the sounds correctly. 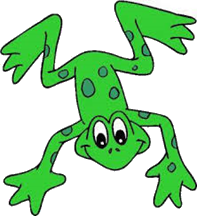 This is Fred the Frog. When children are first learning to read they need to hear the sounds in words and blend them together. This is called oral blending. Fred helps them to do this as he only talks in sounds. Children in Preschool and Reception love to listen to Fred. You will soon hear lots about Fred Talk and Fred Fingers which help children to spell. There are games you can do at home to help us in school. Click here to see the video. Story time is an essential part of your child’s reading journey. Reading to your child is one of the most valuable things you can do as a parent. Listening to stories will help your child to foster of love of stories and help develop their vocabulary. There are lots of ways to support your child when learning to read. Please go to the RWI website www.ruthmiskin.com or click here to access the parents page especially designed for parents and carers. Read Write Inc also have a Facebook page with lots of ideas for parents/carers which can be found at https://www.facebook.com/miskin.education.